How to invite visitors with automatic chat? 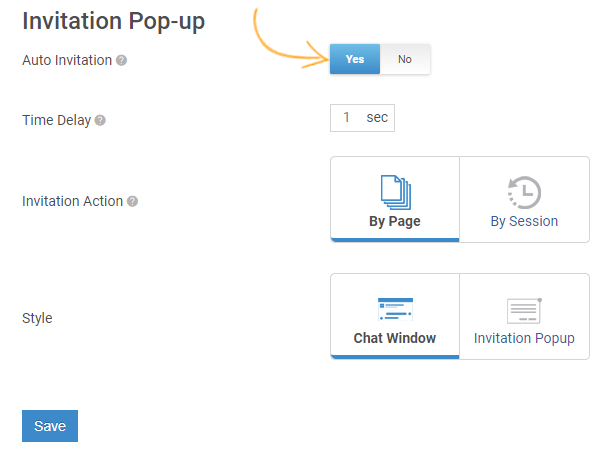 Invitation Pop-up allows you to invite a visitor to chat. This feature can help you assist your website visitors when they need you to solve their queries. Step 3. Enable 'Auto Invitation' to automatically send out chat invites to every visitor landing on your website. Manually enter 'Time Delay' which is the duration of time after which invitation will pop-up. 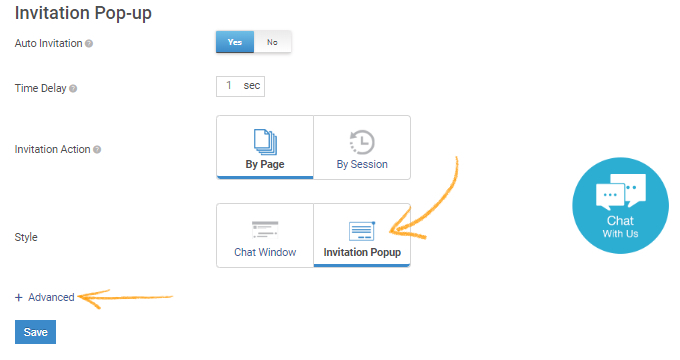 Select 'Invitation Action,' you can choose to pop-up the chat invite on every page the visitor visits or once for each visitor session. Step 4. 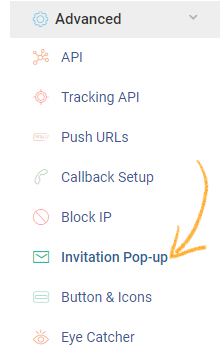 Select the pop-up invitation style. Chat window will pop-up the conversation window while invitation pop-up will pop the 'chat with us icon' as visible in the screenshot below. Click "Advanced" button to customize the settings and click "Save" to implement the changes. Step 5. 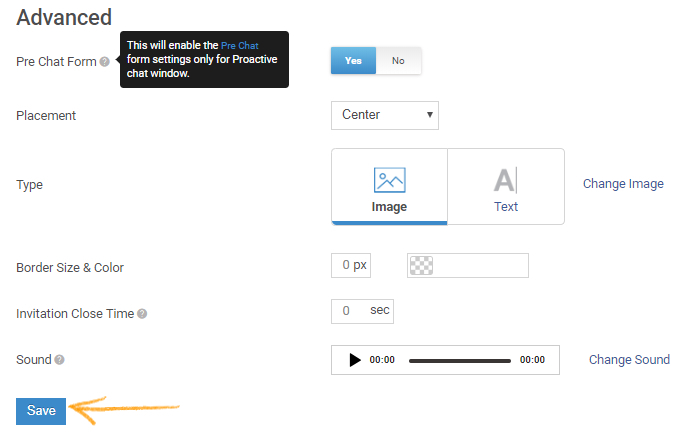 From the advanced options, you can enable the pre-chat form for the proactive chat window. Customize placement, icon type, border size & color, invitation close time and sound. Click "Save" to secure the changes.